Republican prisoners’ families were turned away from Maghaberry jail on Christmas Eve in an apparent reprisal by warders for a new agreement on oral searches. 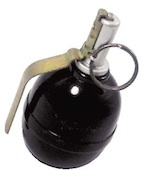 A grenade found outside the County Fermanagh home of a PSNI policeman has been strongly condemned by the North’s political parties. One of the most respected civil servants to work for the Dublin government, TK Whitaker, has said that an almost bankrupt Ireland was in danger of losing its independence in the late 1950s. 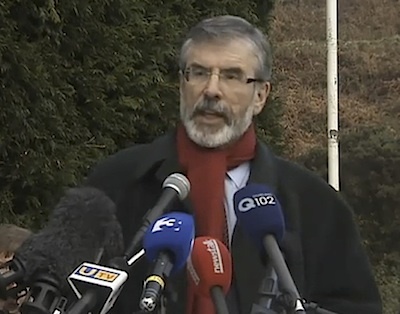 A statement was issued by Sinn Fein President Gerry Adams on Christmas Eve. On the 50th anniversary of the successful breakout from Crumlin Road jail in 1960, we publish a review of his book published earlier this year, ‘Prisoner 1082, Escape From Crumlin Road - Europe’s Alcatraz’. Review by Gerry O’Hara, for the Bobby Sands Trust. 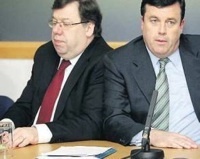 The year 2010 will be remembered principally for two profound and far reaching developments in Irish politics. People returning home for the festive season in Ireland continue to endure hellish travel conditions as an ice storm has severely disrupted road and air transport. The Derrybeg estate in Newry saw heavy clashes between the PSNI and nationalist youths after armoured jeeps descended on the republican estate, sealing off the entrance to the area. Three people are to be charged in connection with the sectarian murder of Portadown Catholic Robert Hamill, Crown prosecutors in the North have said. 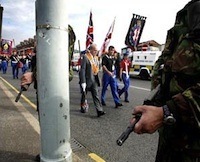 The British Secretary Owen Paterson has appointed a totally new seven-member Parades Commission. There have been calls for a new referendum to legislate for limited abortion in the 26 Counties following a European court ruling that a woman with cancer had her human rights violated when she was refused an abortion. 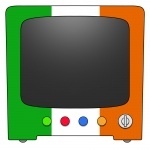 Television channels from the South will be beamed for free across the Six Counties by the end of 2012, it was confirmed this week. 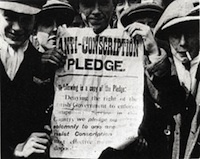 With calls for a general strike and civil disobedience gaining ground in the face of the economic crisis, an example in Irish history when the tactic of the general strike was successfully employed by the Irish working class. After weeks of delays, the DUP and Sinn Féin have signed up to the draft budget to meet 4 billion pounds (4.7 billion euro) in savings demanded by British exchequer chancellor George Osborne. 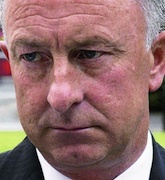 A leaked cable published by WikiLeaks has described how former 26-County Minister for Justice Dermot Ahern knew that at least three illegal ‘extraordinary rendition’ flights had used Shannon airport when he held a meeting with the US ambassador in December 2007. The publication of two inquiries into collusion killings has been hit by further delays. A man accused of murdering Belfast chip shop owner Alfredo Fusco has refused to give evidence in his own defence. Any day now I’m expecting to see a headline saying ‘Kitchen sink narrowly misses Gerry Adams’. 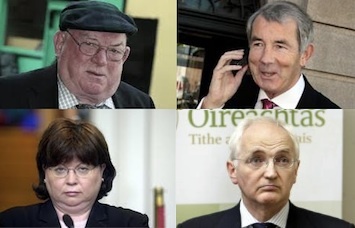 The Fianna Fail/Green Party coalition has won a vote in the Dublin parliament which will cede control over the day-to-day running of the 26-County economy to the International Monetary Fund and the European Union. 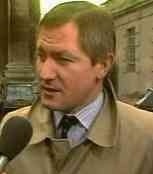 Calls for an independent international inquiry into the murder of Belfast defence lawyer Pat Finucane have been renewed after documents revealed British military intelligence offered to hand over secret files on the killing. The 26-County government has been forced into a sharp policy reversal over the payment of bonuses to senior bankers. A series of reports in the past week has pointed to increasing levels of incompetence, negligence and dysfunction in the provision of state services in the 26 Counties. 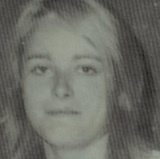 Two men have been arrested in connection with the loyalist murder of 19-year-old Eileen Doherty, whose taxi was hijacked by gunmen in south Belfast over 37 years ago. The five Sinn Fein TDs and two Independents, Finian McGrath and Maureen O’Sullivan, have agreed to form a technical group in the Dublin parliament. A list of republican prisoners and the addresses of their prisons. The general election, when it comes, will be the most important in recent decades. 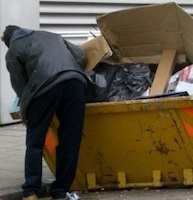 Irish children are now scavenging in bins for food, such is the dire level of poverty among some families, even as the Dublin government transferred billions from the poor to the rich. The likely date of a 26-County general election has been pushed back to March or even later as Fianna Fail and Green Party Ministers attempt to cling to power. 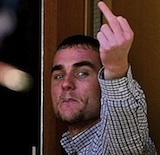 High-profile republican Colin Duffy suffered two beatings en route to and from a court hearing on Thursday at which he was told he would have to attend a trial in the New Year. 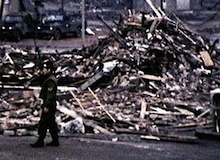 A British minister has indicated that an investigation into the killing of eleven people in west Belfast by the British Army in 1971 is to be refused. Sinn Fein President Gerry Adams has ended his Stormont career by praising what he said was the “remarkable” achievement of power-sharing. Sinn Fein MP Pat Doherty has called on the British Secretary of State Owen Paterson to come clean on any involvement he had in brokering the latest political deal between the Tories and the UUP. Tom Elliott supplied the denial headline without even the public accusation - “Elliott denies he’s a political dinosaur,”. A vehicle carrying ‘Prince of Wales’ Charles Windsor and his wife, ‘Duchess of Cornwall’ Camilla Parker-Bowles, was attacked by student protesters in London amid heavy rioting in the city. Ordinary workers, families and social welfare recipients have borne the brunt of 6 billion euro in cuts and taxes in the 26-County Budget today by Minister for Finance Brian Lenihan. A classified document that details a meeting between former Six-County prime minister Brian Faulkner and British Home Secretary Reginald Maudling shows that a cover-up around the McGurk’s bar bombing went right to the top of the government. 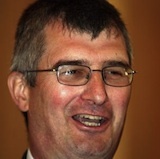 The new leader of the Ulster Unionist Party, Tom Elliott has insisted he is not a “political dinosaur” after another prominent party figure quit. 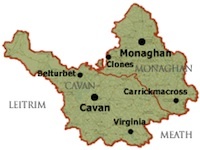 Sinn Fein is to run two general election candidates in Cavan-Monaghan in a sign of confidence that the party will increase its support at the polls. Unionists have sought to prevent the families of those who died in the Ballymurphy massacre from displaying photographs in Belfast City Hall next August on the 40th anniversary of their deaths. Sinn Fein President Gerry Adams met senior loyalists at Stormont on Monday to discuss the ongoing impasse over sectarian parades. 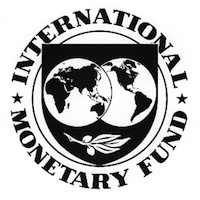 So what is the International Monetary Fund? The Programme of Financial Support for Ireland will be subject to three-month reviews “of conditionality”, observance of “quantitative performance criteria” and “respect for EU Council decisions and recommendations”. 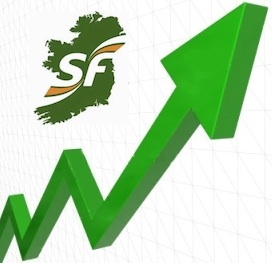 Sinn Fein’s support in the 26 counties has surged according to a new opinion poll, which also predicts Fianna Fail is facing a virtual wipeout in the forthcoming general election. Newly elected TD Pearse Doherty has taken his seat in the Dublin parliament, where he will be Sinn Fein’s new Finance spokesperson. Sinn Fein’s Deputy First Minister Martin McGuinness has said republicans still engaged in armed struggle face prison “for an aim that is simply not achievable”. A former British soldier who said he had shot dead a young Catholic man in north Belfast could not have carried out the killing, according to the North’s Historical Enquiries Team (HET). A former US ambassador to Ireland said the Dublin government imposed new conditions on the use of Shannon airport by US troops in 2006 in a bid to secure extra votes ahead of a general election the following year, according to a leaked diplomatic cable. 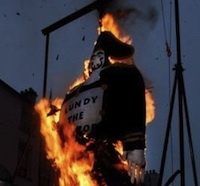 The Apprentice Boys’ Lundy Day parade takes place in Derry tomorrow [Saturday] once again raising fears of sectarian clashes in the second largest city in the North. Scotland is to get limited powers to set its own income tax rates and borrow money in a new phase of devolution from London to the Scottish parliament in Edinburgh. It is too early to estimate the size of the earthquake on the political Richter scale but suffice to say in its wake it has upended a political system that is now sitting on the edge of the precipice and could topple any minute.